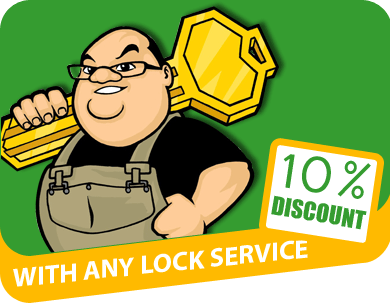 At Armen Keys Service Glendale, we specialize in offering bespoke locksmith services to our esteemed clients. For several years, clients trust us when it comes to installation of secure door locks. However, there are several other factors that determine the door security. 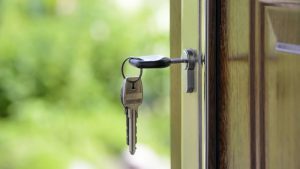 In this article, we focus on educating you on how to make sure your house door is secure. Continue reading to find out the factors to consider when changing the house doors or fixing a door on a newly constructed house. What is the Length of Your House Door Lock and Hinge Screws? To begin with, a secure door lock should have screws that are long enough to ensure the lock is firmly attached to the door. The same applies when it comes to the house door hinges. Short size screws will easily come out making the house vulnerable. If force is applied while pulling the lock, one can easily remove the door locks. On the other side, the hinges can easily pull off if you are using short size screws. Which Material is used on Your House Door? The material used on your house door should also be able to offer you top security. Consider that a metallic door is stronger than a wooden door. In case of a burglary attempt, it is easier to break into a house that has a door made from softwood compared to hardwood. Ensure you enforce your front door using steel doors which are stronger and safer. Your house door locks should be able to offer you ample required security. Note that different door locks are made to offer you different security levels. Therefore, the front door locks should offer you a high level of security which is often higher than the locks on the door of the other rooms. 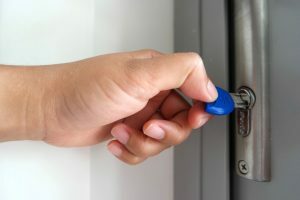 At Armen Keys Service Glendale, we have the required expertise to install high-level security locks. Therefore, come to us anytime when you need high-security locks installed on your door. A good quality security camera will record any incidents that take place at your house door. Consider the fact that security cameras also scare away any people who might have the intention of breaking into your house. Install the latest security cameras that allow you to monitor what is happening at your house door from anywhere. These are cameras with night vision capability. If your house door is highly visible to the public, then they can alert security in case your house door is being broken in. Homeowners who install a front door that is not easily visible to the public or their neighbor’s risk being victims of home burglary. A locksmith will advise you on the possible changes that you must do on your house door. These are aimed at improving the security of your house door. At Armen Keys Service, we have competent technicians to advise you on the best ways to improve your door security. Is your house door secure enough? Contact Armen Keys Service Glendale whenever you need to improve your front door security. We have highly qualified technicians with experience required to ensure that your home is secure enough.